Clutches, satchels, hobos, buckets, shoulder-drops, slings: all are names for different types of handbag styles. Yet, each has one thing in common… an interior that is perfect to hold all your necessities, while catering to your fashion consciousness. Every woman is unique in her tastes and needs, and the handbag market reflects this. You, as the designer, have total control. 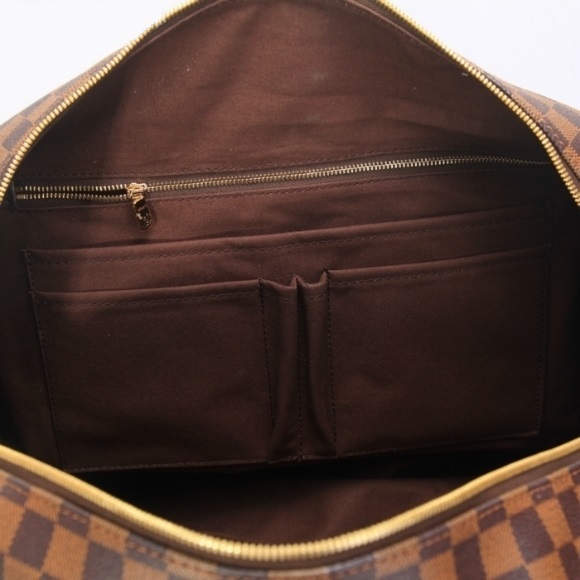 One of the first things to consider when designing a handbag interior is need. What does the user need the handbag to do? Keep in mind: bag size/proportion, occasion, time of year, climate. Yet functionality need not limit your creativity. Aesthetics are important too. Interiors should look beautiful. An easy and simple way to achieve this is through fabrication and colour. Take this opportunity to get away from conventional materials and colour schemes. Here is your chance to use high-quality luxurious fabrics, rich patterns, textures, and colours… all of which will reflect your own personal tastes. Or perhaps the fabrication must multi-task? Not only should your choice be based upon its appearance but possibly its properties too. Consider using thermal linings, waterproof linings, stain/mildew-resistant linings, plush linings, padded/quilted linings as part of your design specifications. Organization is another important consideration when designing a purse interior. There should be compartments for storage and security. Think how the handbag is used, picked up, opened, looked through. An enclosed space or compartment for the things carried the most often is what you want to include in your design. Is the pocket, pouch, slot accessible? Is it positioned comfortably to reach in and retrieve objects? Compartments and their placement can be customized to your own preferences. Does it need to be secured? Inset zippers, dome-snapped flaps, elasticized openings, gripper straps often add security features to your interior styling. If your aim is to design a handbag unlike the high-end designer handbags found in the marketplace, do use better quality hardware such as high-quality zippers for pocket openings and employ better sewing techniques. Often times while exteriors are fussed over, their interiors are slapped together poorly and quickly. They will not endure for long, the inner lining materials tear easily and they end up having “swallow holes”. Swallow holes are those empty spaces in the lining of a handbag where small items like coins drop into the space between the lining and the exterior of the bag. There should be even, smooth machine-stitching with no skipped or broken stitches. One of the suggestions I often make is to reinforce the lining fabric with a Knit-fuse interfacing or back the lining material with a flannel interlining to stabilize and strengthen the interior lining. In handbag designing, an impeccably executed bag interior will only complement a well-constructed handbag exterior. 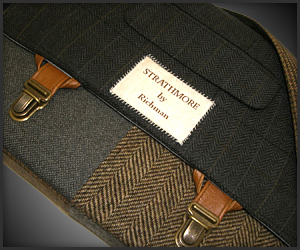 The final consideration is to put your personal “stamp” on your handbag design. Custom features such as monogramming, placeholders for key-rings or pens, coordinating wallet or eyeglass holder, or telescoping umbrella are just some ideas you may want to include in your interior styling to complete your total fashion image and add uniqueness to your handbag design. Handbag interiors are as individual as the women carrying them and should be designed for beauty as well as necessity. 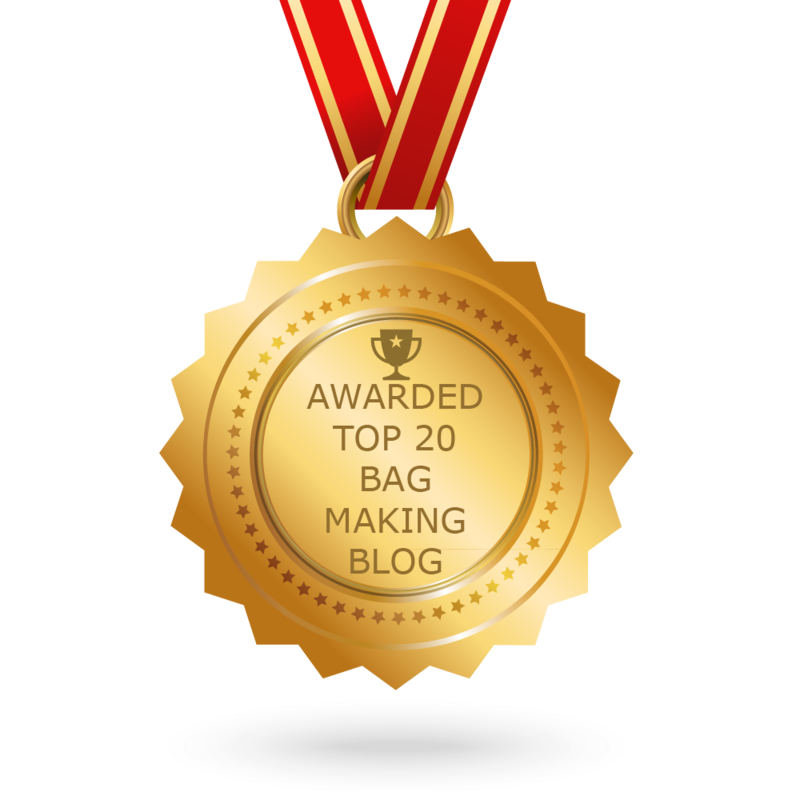 Their style, materials, features and workmanship will all be factors in the overall design of the perfect handbag. Most women, however, just find them indispensable. Ever wonder what can be accomplished using a few pull tabs, a key, staple remover, and wire cutters? Look at what crossed my desk today. If anyone knows the designer, let me know. Update: Thanks to my loyal followers, the talented Brazilian ladies of Escama Studio are the source of this inspirational use of pop tops. Escama Studio is a collaborative design studio based in California and Brazil making beautiful recycled fashion accessories using crochet and recycled aluminium pull-tabs. Here is a video from their website showing the various steps required to make a pull-tab bag: from sourcing recycled aluminium, sorting usable tabs, washing, polishing, trimming and crocheting pop tops into the finished products. The result is an elegant and striking collection of accessories that illustrates their creative and innovative design-style, from post-consumer and other sustainable materials, through partnerships with producers in underprivileged communities. Inspiration is in every direction. With no limits to creativity, let the shapes, colours, and textures around you contribute to the bag designs in your mind. Fashion need not be inspired only by fashion. Fashion designers often get their ideas from current events, entertainment, art, the environment, or cultures around the world. Brainstorming, imagery, awareness, and observation can be very powerful in any of your artistic endeavours. This way of seeing is ideal for enhancing your creativity. Next, you need a method to capture and remember your creative visions. Sketch, sketch, sketch – There’s no risk involved in a sketch. If it doesn’t work out, just turn the page of your sketchbook and start again. Not much of an artist? Use a grid template. A grid template is a linear layout of intersecting horizontal and vertical lines. Use them to sketch your bag design’s stylelines and overall appearance while maintaining accurate proportions and dimensions. Graph paper makes a good template so that you always have copies of this grid to draw your designs. Gather newspaper and magazine clippings, photos, drawings or make photocopies of favourite bag styles as well as ideas and details for colour palettes, fabrications, etc. and paste them in your sketchbook. Your ideabook will be constantly evolving just as fashion does. Update it often, removing those ideas that aren’t as inspiring and adding new-found creative ones. When “shopping the shops” make a note of any details or design ideas you discover in the marketplace. Look closely at the construction, shapes and proportion of the details. 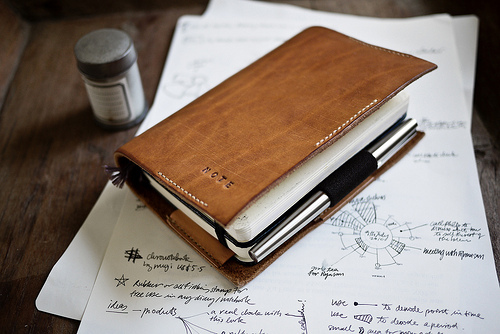 Draw/sketch, and write down as many notes as you can remember for later use. Sketch the detail over and over again, varying the shape and design to improve on it. Make it your own and let it generate many more great ideas. Redesign – redraw – renew. I’ll let you in on a trade secret. Sometimes designers are fortunate enough to develop a “runner” in their collections. A runner is marketing jargon for a style that is an instant seller and is reordered over and over again by the retailer. Whenever a runner is developed, designers do not discard it at the end of the fashion season; we alter it slightly… perhaps changing the hardware or possibly re-fabricating the popular style in a new material for the next season. You can do the same. 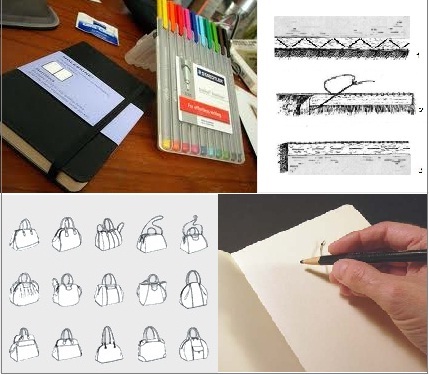 If you have developed a bag design that you really enjoy, do not start over from square one; instead sketch it out and re-work it with new hardware, new colour scheme, or new materials. Let one single good design idea morph tenfold. It is said that “a picture is worth a thousand words”. Use this philosophy in your sketching. 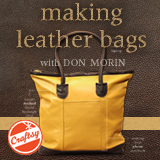 Often there is no “real” pattern-drafting needed to produce a basic bag silhouette. Draw out your design based upon its specifications. Patternless designs (a simple block grid) can be plotted directly onto your material as long as the fabric is square and on-grain. Once the design specs are communicated visually, you are ready to cut out the shape, sans pattern. If you’re happy with your first attempt, well done. I would caution you however, do not expect perfection for your first trial or you might end up disappointed with the end results. I often find novices put too many of their ideas into one sketch. My advice is take your original design and simplify it by redrawing the concept eliminating any parts of the design that cannot stand on its own. Keep simplifying each progressive sketch until you can no longer simplify it without changing the prime concept. 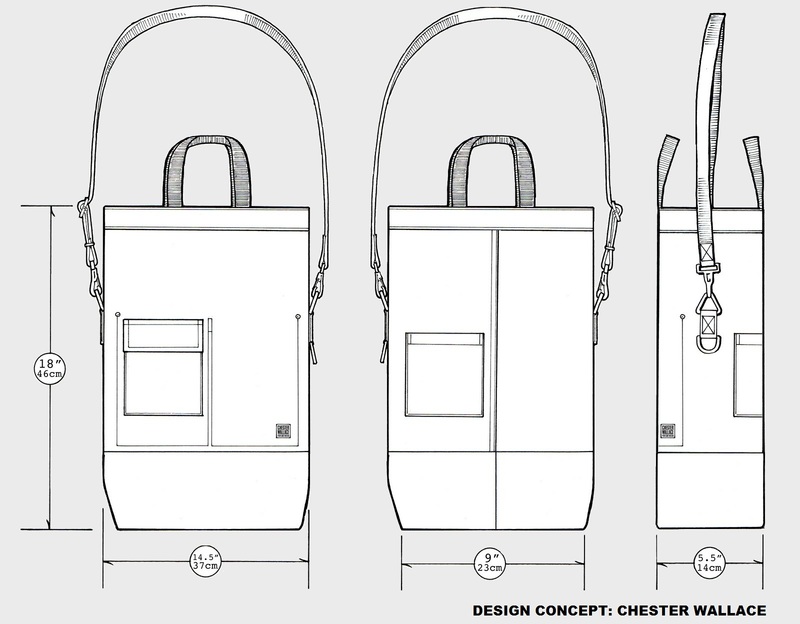 Often it is that sketch of the bag style that should be put into production. Designing is a evolutionary process, so practice make perfect. If you continue to keep on sketching and improve it for every new attempt, soon enough you will have a collection of bag styles in your repertoire worthy of the production stage. Drawing your design ideas takes concentration. A defined work-space and a preplanned time frame are often helpful. Try to plan sketching time every day, or whatever time is available to your lifestyle to sketch. Planning a time frame in a space where you can concentrate will help slow down your ideas and draw them out so you can actually be productive with them. If you’re in a hurry or if the ideas come too fast, it’s difficult to convert them into a good design. 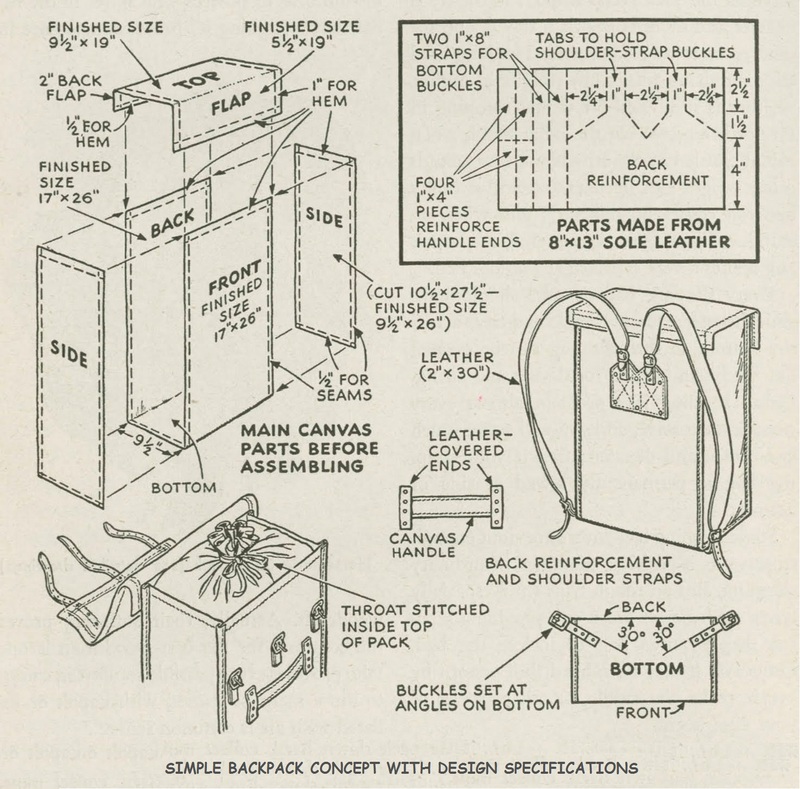 DIY expert, author and creator of P.S. – I Made This, Erica Domesek’s creations are inspired by some of the biggest names in fashion. She has been featured in top entertainment and fashion media, and both her website and her book feature several Sharpie ™ DIY projects. In her video, Erica breathes new life into a standard-issue pencil case using new Stained by Sharpie™ fabric markers to create a chic purse. “There is a story behind everything and telling a story and putting your own personal stamp on it, to customize something or personalize something, I think that is one of the cool things about making your own stuff.” Well said, Erica! There is a whole branch of study in fashion design known as colour theory. 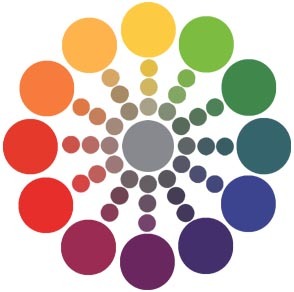 This is a field that studies the colour spectrum as pertaining to the Principles of Design, including the effect it has on emotions and mood, and can be extremely valuable when trying to figure out the best colour scheme for personal self-expression. Retailers often make use of this as well, to increase in-house sales or to ramp up a person’s need to shop in retail settings. 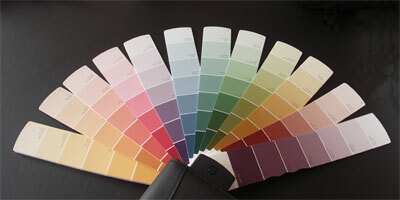 It’s a rather fascinating field of study that has a number of colour forecasters and trend followers dedicated to it. Nowadays, there are also endless sources that will help you learn more about colours and how they can help present yourself, such as the International Colour Authority™, Colourlovers™, and Pantone/Fashion + Home™ to name a few. Think about it…you are more formal towards the person in a dark navy ensemble than to the one dressed in beige! Colour can affect our reactions to people. The effect is subtle but very real; colour sways perception, judgement and behaviour. It has the psychological power to influence emotion. Managing the impact of colour on our self-expression is smart considering that colour is one of the first things noticed about a person, particularly from a distance. It is far more than just wearing your “favourite” colour! Each hue has a different psychological effect. Our body’s nervous and hormonal reactions to the magnetic energies of colours (their temperatures), and the way it physically senses and interprets colour visually, result in different emotional responses to the various hues. In other words, there is a specific psychological reaction to each colour. Because these feelings are due to the physical effects of colour on the body, everybody will have the same subconscious reaction, despite the fact that people have individual colour likes and dislikes. This is where colour in fashion accessories play a leading role in our overall personal fashion statement and self-image. The emotional effects of colour can be used to psychological advantage in everyday life, particularly in designing your own creations, to improve communication and manage interpersonal relationships. It can even create a persona – a desired image. One of the easiest ways to employ colour psychology is through colour coordination of fashion accessories within our wardrobes. Wearing particular colours will influence the way others relate to you. Clear earth tones (in particular mid-brown, beige, camel and tan) are warm, friendly and approachable. Light yellow is highly visible and therefore sociable, but not as demanding as bright yellow. Clear warm colours (such as coral, sunflower yellow, peach) are non-threatening and open, particularly if they are light. Appear stern and reserved. The darker the shade the more powerful, intimidating and threatening the effect. Create the impression of seniority. Create the impression of being in a position to make decisions. Earth tones appear friendly and approachable. Pastel colours are calm, gentle and non-threatening. Yellow appears positive and friendly. Bluish-pink is calming and appears non-aggressive. Create the impression of having social influence and clout. Create the impression of prosperity and economic success. Clear earth tones (such as tan, camel, yellowed beige) appear warm, open and down-to-earth giving the impression of dependability and credibility. Navy and medium blue suggest reasonableness and professionalism. Appear serious and are therefore business-like. Suggest efficiency, strength and assertiveness. Give the impression of commitment and capability. Design with bright, advancing colours such as orange-red, orange, yellow and lime that are visually and psychologically compelling (but not necessarily business-like). Bright hues are often seen as playful, energetic and used in sportswear/team colours. Muted, dulled colours (such as stone, taupe, khaki) give the feeling of a lack of openness. Dark colours suggest reserve and seriousness. Neutral colours (black, gray, brown, white) lack character when worn on their own. 9. Appear creative and forward-thinking. Strong clear colours are expressive, extroverted and positive. Purple is the colour related to higher intellect. Purple is a rich “feel-good” colour. Pastel colours are unassuming, quiet and diplomatic, calmly deflecting criticism. Green is a balanced colour which gives the impression of peacefulness and orderliness. Muted warm colours such as earth tones are centered and down-to-earth. Manage the impression you give. Change the way you are perceived and let others to see the positive qualities in you. Colour psychology is a simple but very effective tool to create or enhance your handbag designs! Get creatively green by recycling clothes. Whether you call it recycling, refashioning, repurposing, reclaiming or something else, it’s the act of showing off your individuality as well as taking a stand toward consumer culture, the clothing industry and the environment that makes it valuable. Enjoy the design process and have fun hunting for a good mix of fabrics, that you have no qualms with ripping apart. You may get something out of it you’ll love. Start off small. Find inexpensive clothing at thrift shops, garage sales or even set up a clothes swap with your friends. Utilize the look of vintage clothing and the old shapes and tiny details, try to figure out a way to incorporate them into something new for your design-it-yourself bags. It takes your own time and creativity, and inspiration comes from many places.